(Bloomberg) -- Turkish election officials ordered a recount of hundreds of thousands of invalid votes cast in several parts of Istanbul, as the ruling party of President Recep Tayyip Erdogan contests its apparent defeat in the city where his political career began. Sadi Guven, head of the High Election Board, said on Wednesday that ballots would be recounted in eight of the city’s 39 districts, while the board separately ordered a recount in one district of Ankara, the capital, where Erdogan’s party was also defeated. Initial results from Sunday’s poll showed candidates from the secular opposition CHP winning both cities, in the biggest setback to Erdogan’s Islamist-rooted AK Party and its predecessors in a quarter century. 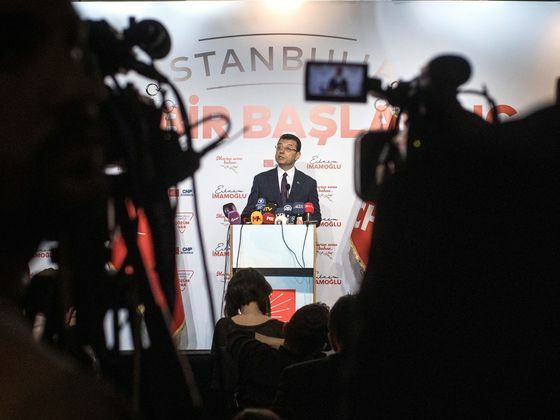 The number of invalid votes in Istanbul, Turkey’s largest city, was 10 times larger than the 25,000-vote difference between the AK Party’s Binali Yildirim, a former prime minister, and CHP’s Ekrem Imamoglu, according to a tally by Erdogan’s party. In the capital, the gap between the top parties’ candidates for mayor was about double the number of invalid votes, according to the CHP. The AKP conceded defeat in Ankara but objected to the conduct of the count. The recount could alter the make-up of the municipal council. The High Election Board is expected to announce the final results around mid-April.